We travel to Florida A LOT. Maybe not as much as some people, but I swear we are there at least once a year. 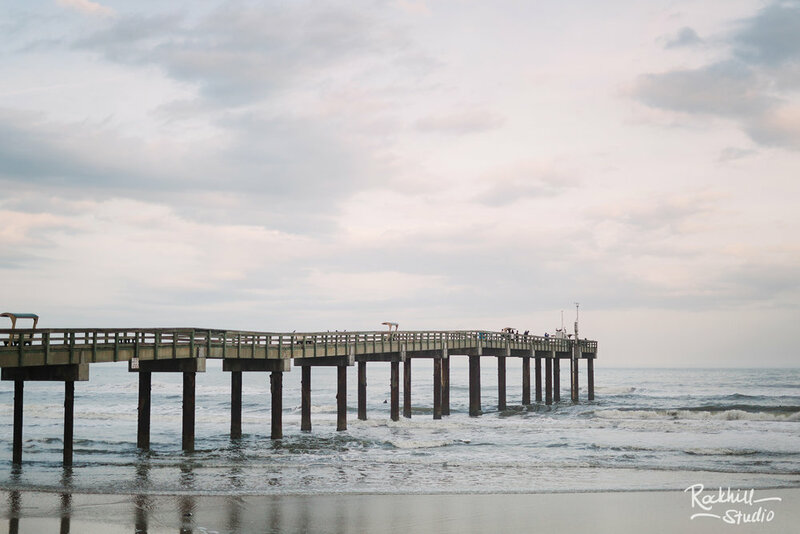 We've been to several areas of the state, but a favorite of ours is the St. Augustine area. I love the history of it (if you really get to know me, you'll know that I'm an American History enthusiast) and of course is just really really cool. 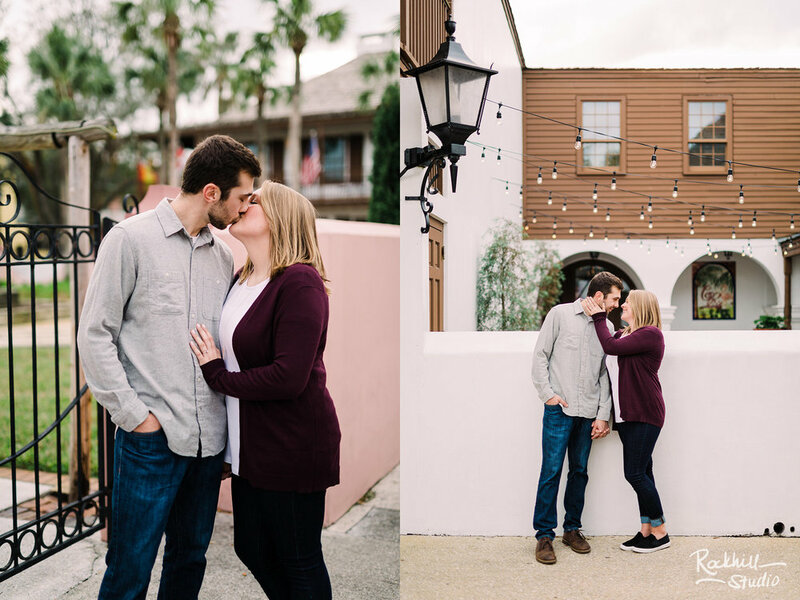 While the couple is planning their Michigan wedding for next winter, they are currently living down in the St. Augustine area and when we were chatting about their engagement session, I said we need to make Florida happen!! And I'm so happy we did! My husband leaves a little piece of him every time he leaves Florida, so there was no way he was missing out on the trip, and another great excuse for Hayden to come along, so we went a few days early to enjoy some family time. We were able to meet up with some of my relatives in the area, enjoyed fried gator tail (which was some of the best food I've had!!) and we even saw the SpaceX Falcon Heavy rocket launch into space. Last year, we had toured Kennedy Space Center and only intensified my love for space and such, and it was absolutely amazing to see a launch in person! 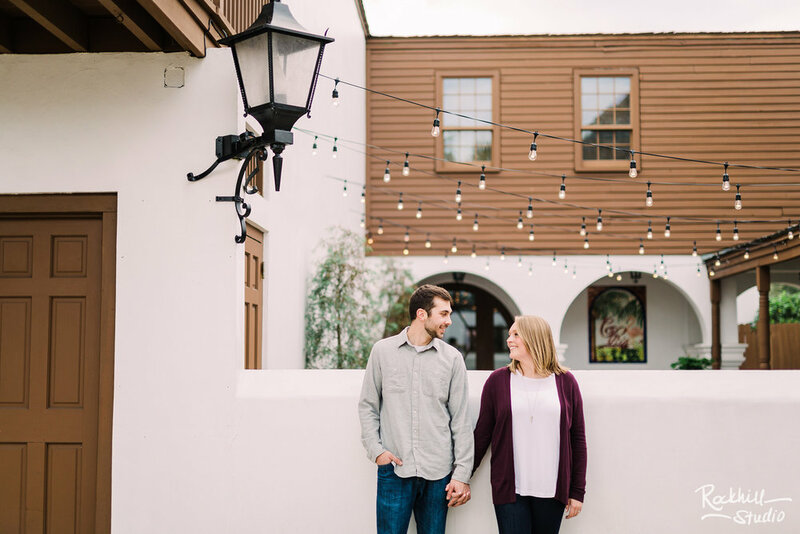 So...then comes the day of the engagement session. Northern Florida can still be chilly in the winter. Yes, warm to Michiganders, but compared to the first part of our trip, the day of the session was perfect. Absolutely perfection. Sunny and warm, it couldn't have been better. 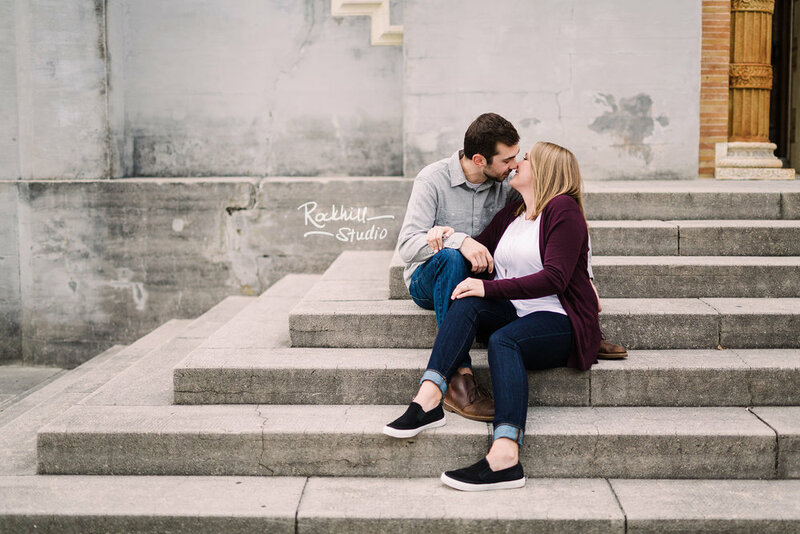 During our session, it did cloud over and the humidity rolled in like a freight train, but these two sizzled in their own way and I was so happy with how our session turned out!! 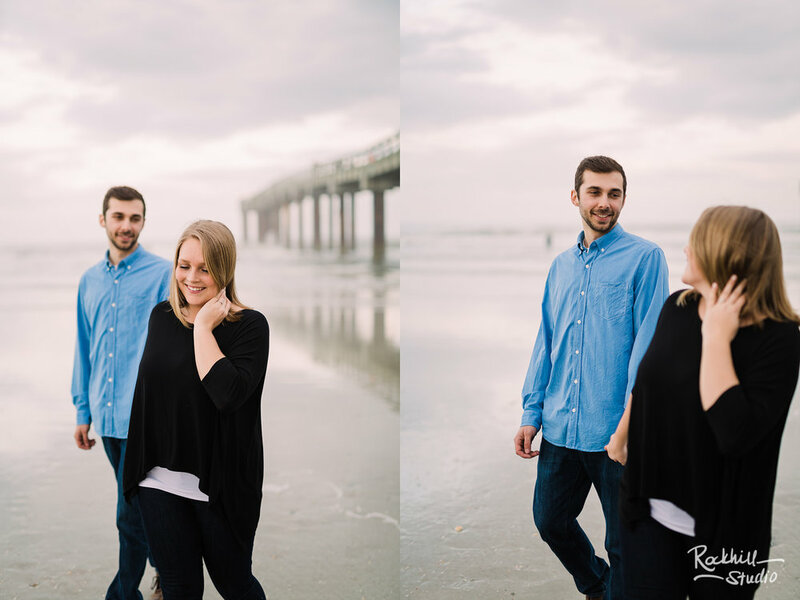 We strolled around the Old Town of St. Augustine where much of the beautiful history and architecture are and ended the session at the beach, where it was perfectly misty and we were able to watch the surfers. 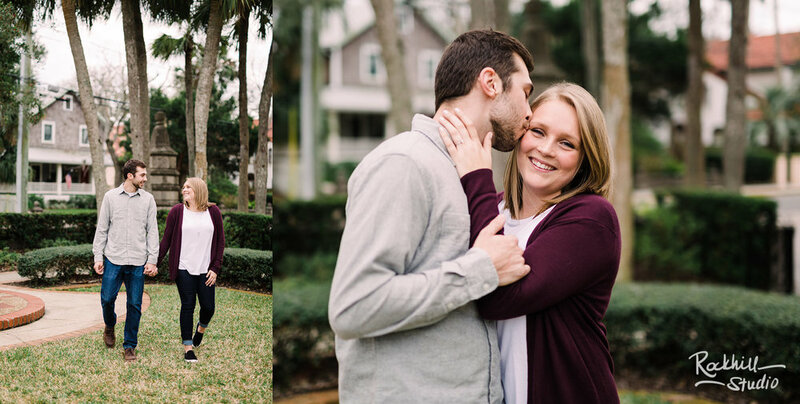 Here's just a few favorites from their session!! We started the session at one of my favorite churches...the architecture is just so pretty!! 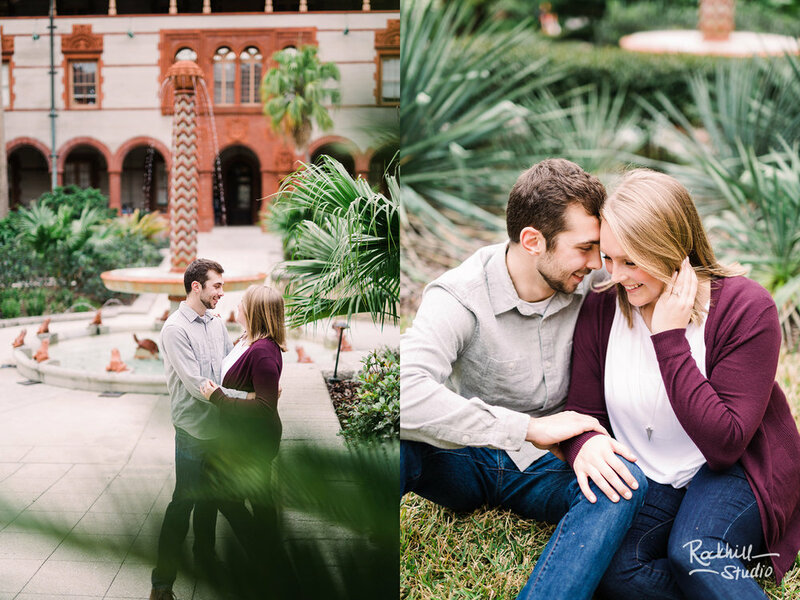 Continuing on with my favorite places, a quick stop at Flaggler College was a must! ...then on to the beach! This gorgeous evening couldn't have ended any better. I cannot wait for their winter wedding!! Michigan has its own gorgeous beauty in the winter (and summer, spring, and fall, of course!) and I know it will be every bit as spectacular! !